Hey everybody, Truffles at the keyboard! Today I wanted to show you a little of the Christmas decorating we've been doing and how big of a help I am around the house. 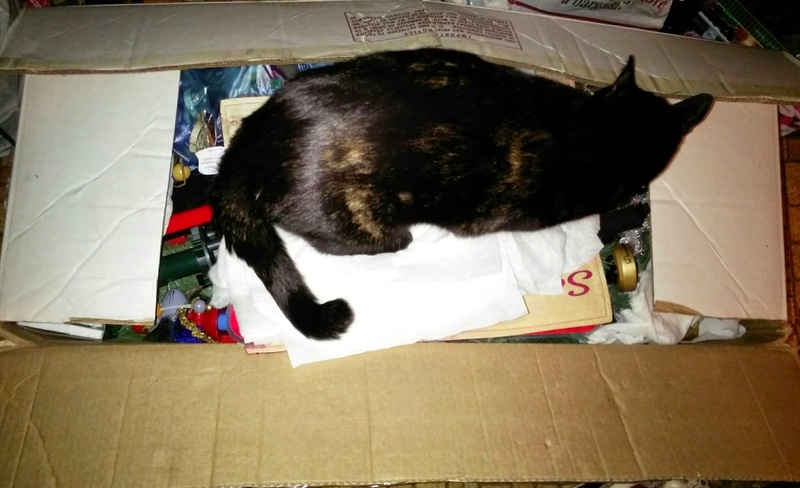 Here I am helping to unpack one of the Christmas boxes. I believe in completely throwing myself into a project. Once we finished unpacking everything, putting the tree together and into place, I made sure the tree skirt was laid down properly. This is prime napping real estate, after all. We hope you enjoyed our little tour, and we would love to hear how you decorate for the holidays. Do you do any theme decorating? Oh my CAT!!! You have a whole sleigh full of Grumpies?! hehe!!! Your decorations look beautiful...and very special too. We love things that remind of us those we've loved. It's so wonderful to remember them around the holidays. Amelia has been helping with the decorating too! So far she has knocked tacks on the floor, bitten through (unplugged) light wire and shredded some tissue paper. 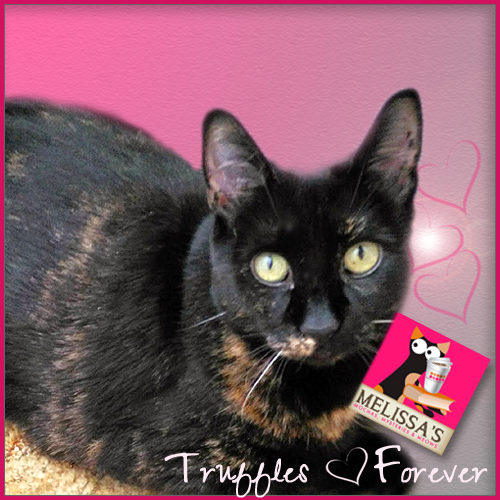 Do you need some more help at your house Truffles? I'd be happy to send Amelia your way! I do so love all your feline themed holiday decor and A Christmas Carol is one of the greatest books ever! Awesome! I adore holidays! And pets adore if they can participate! What a good snoopervisor you are, Truffles. And those ornaments and decorations are pawsome. 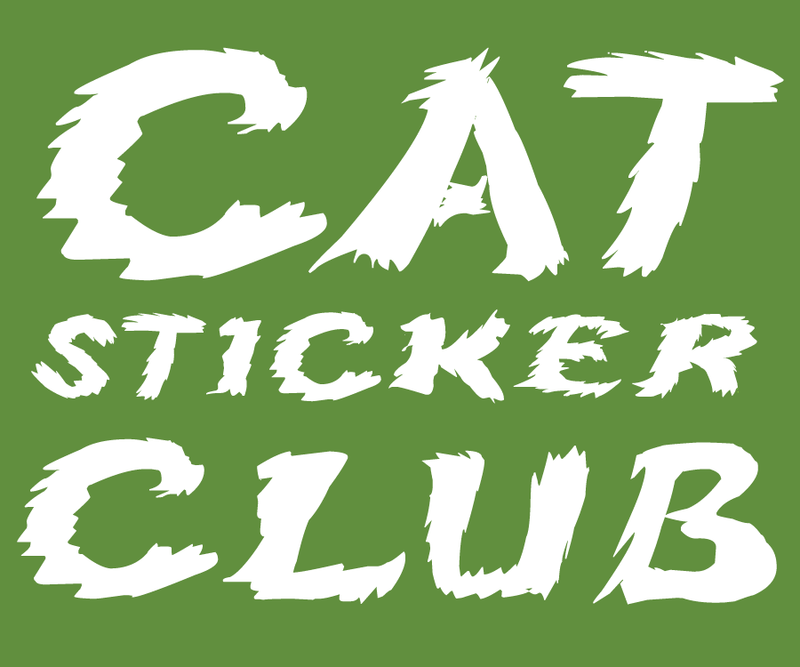 We have lots of kitty ones too. 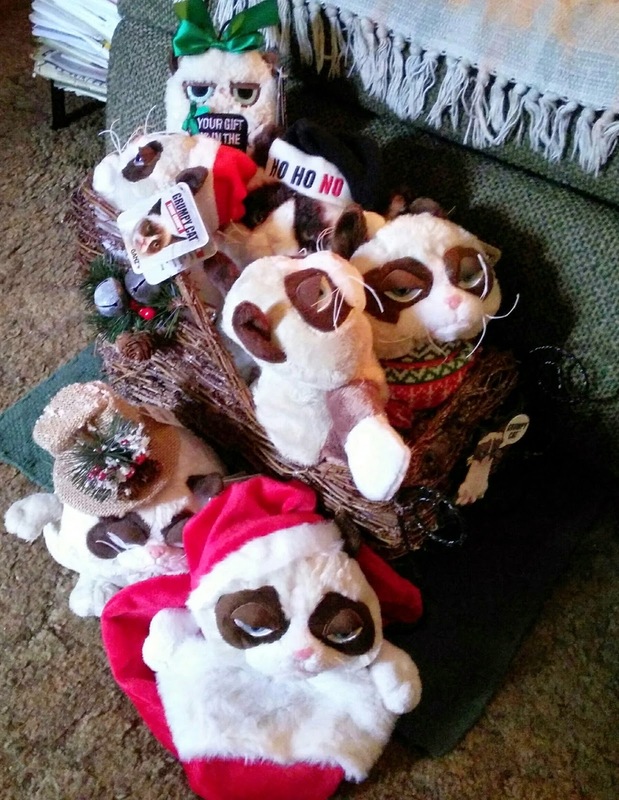 A sleighful of Grumpys. 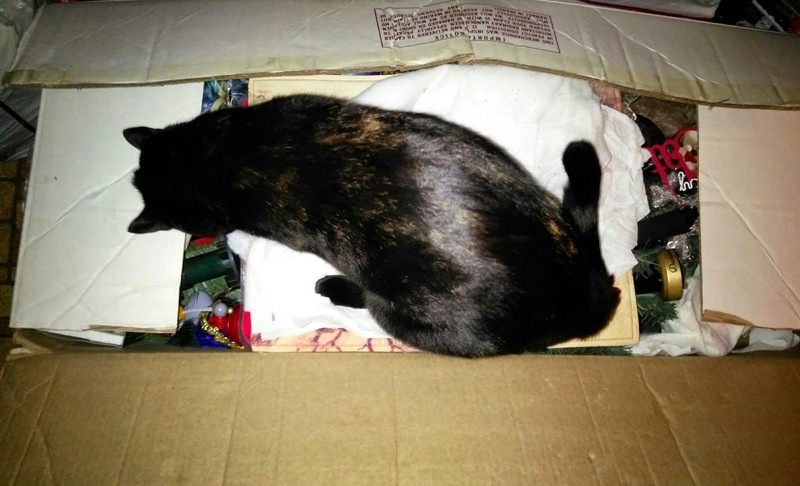 That sounds like a song lyric to a pawsome Christmas carol. And Truffles, you are a great helper. I don't know how anyone could decorate for the holidays without your help. 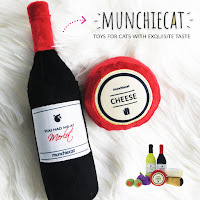 Love all the cat ornaments! 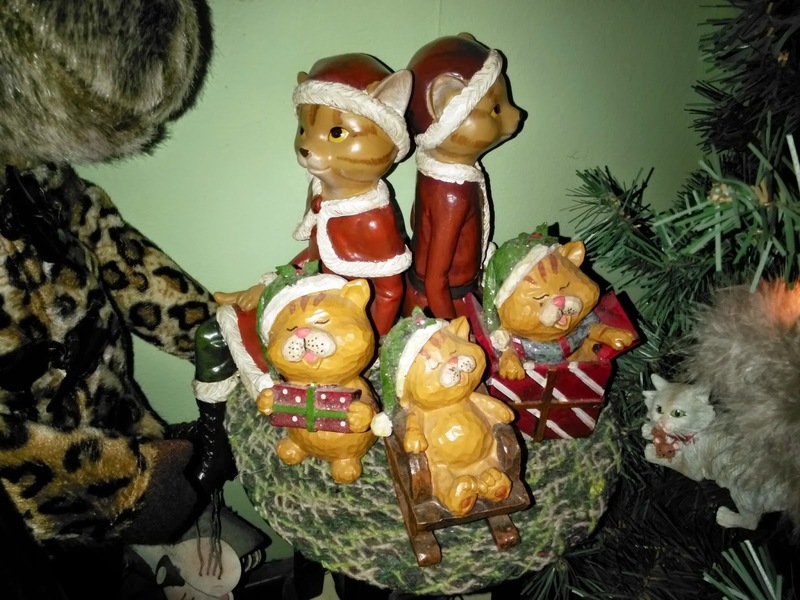 No theme decorating but I probably have enough cat ornaments to do a small tree. 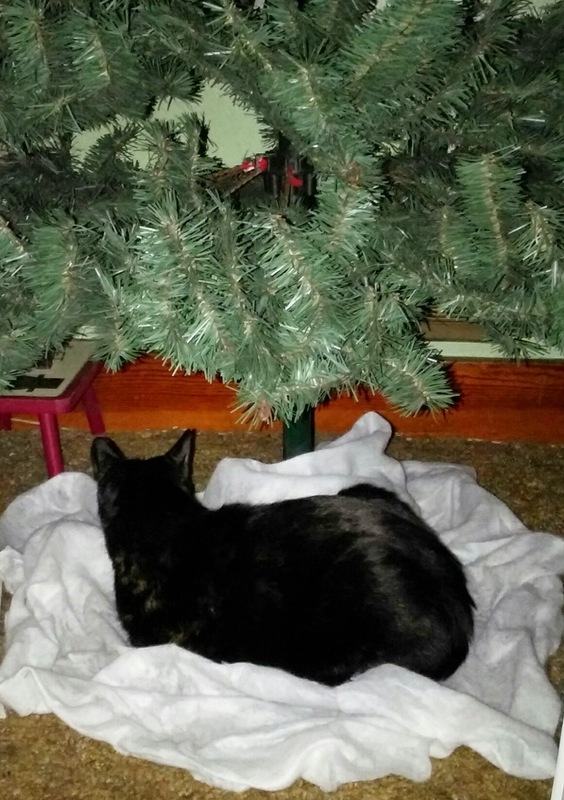 My Ling & Ming like to "undecorate", so unbreakable go on the bottom of the tree, for their play. You have the best decorations ever. 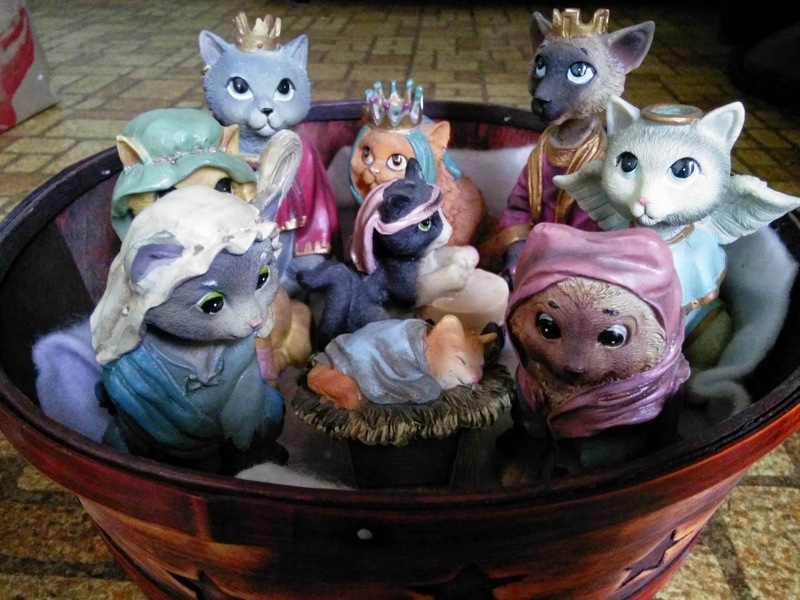 I have never seen a kitty nativity-that is the best. And your Grumpy collection is bigger than mine. Good job helping your mom, you didn't even break anything. OMG this is too cute! You look like you've been a massive help in this project, good for you! :) I love the cat nativity and the grumpys especially! Love all the decorations! 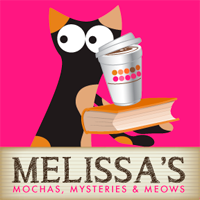 All of ours are also cat themed! Looks like you're ready - I'm so jealous, haven't even pulled my stuff out of the storage room yet. Those ornaments are just fantastic. Lots with your names on them. Our Christmas theme is Rudolph. Love the pictures. 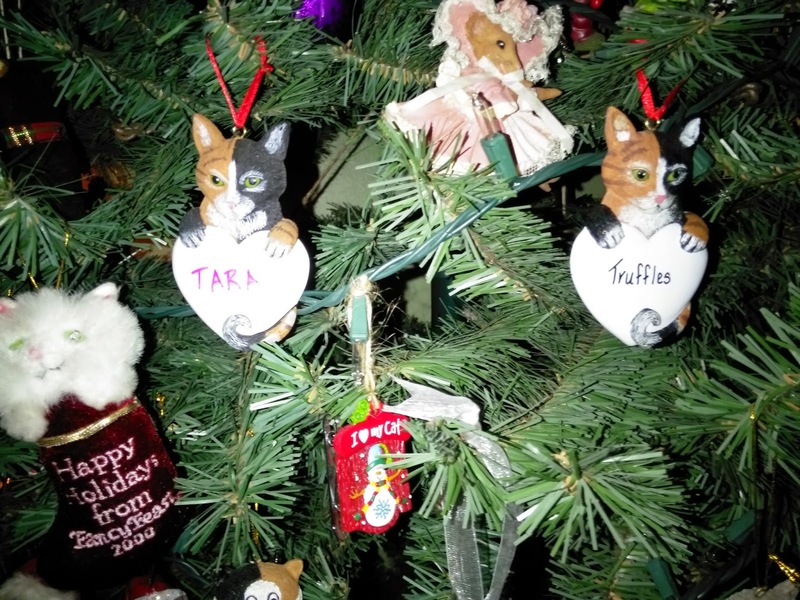 We love all of your ornaments! 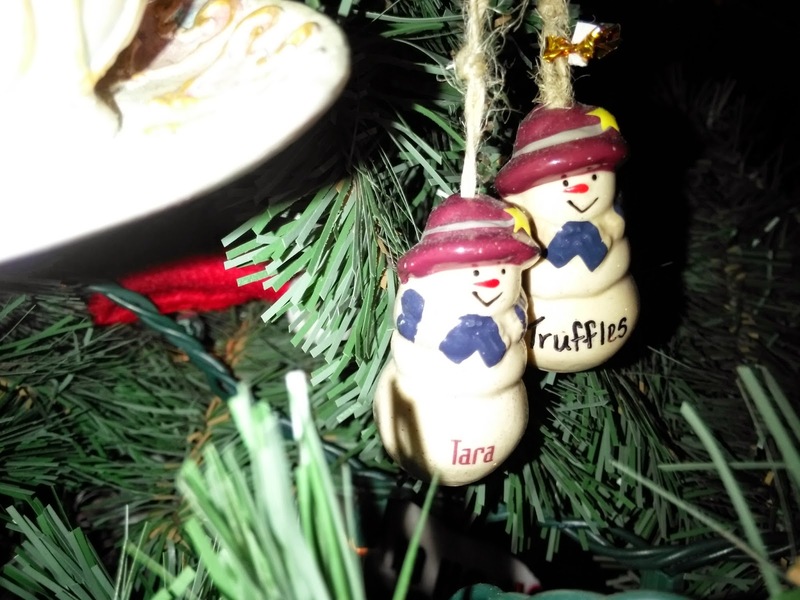 Mom needs to get ornaments that have our names on them. We like that idea, maybe she can do that before next year. 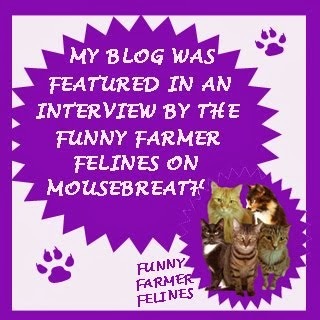 Wow Truffles, y'all hav sum pawsum decowations. We just luv them all. 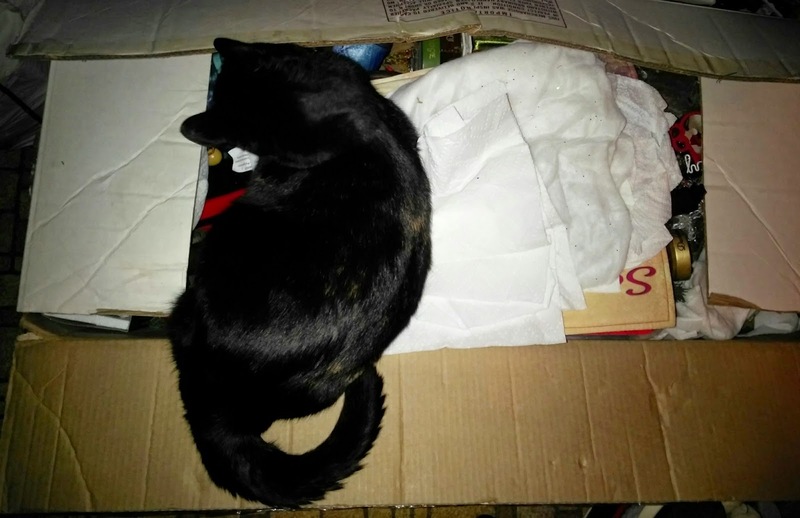 Mommy collects kitty stuffs too, but nuffin' nearly as cool or as extensive as yous mommy's. Hav fun. Oh my you are such a help Truffles! 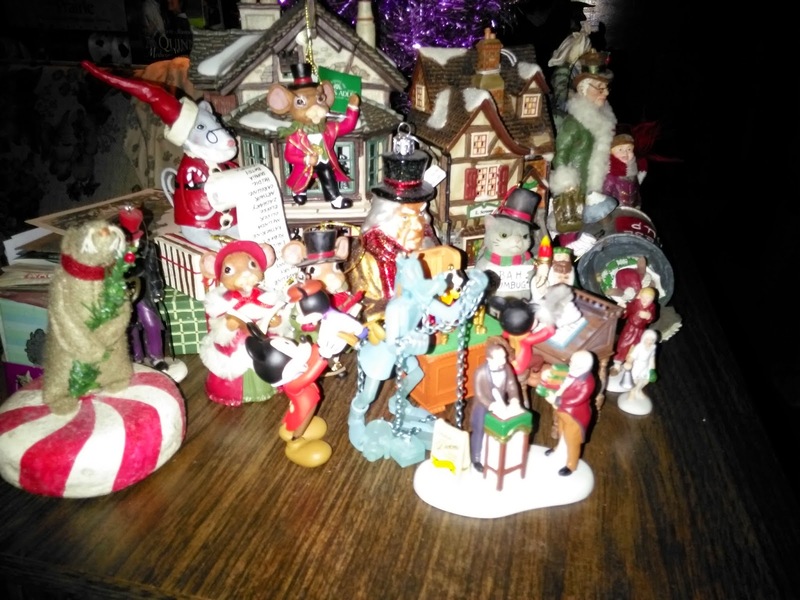 I LOVE your ornaments and the "Sleigh Full Of Grumpys" is a total hoot!! Pawtastic! Wow. When you wanna complete a project, you really wanna complete a project. That box would have totally distracted me. I'd probably still be nappin'! Truffles, Mommy is so lucky to have such a great helper. That looks like quite an undertaking! You look like you are being a great helper! What beautiful decorations. 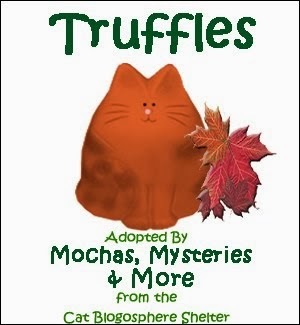 And they just wouldn't have been able to be decorated the same way without your capable help, Truffles. We're gonna take pics of all our decorashuns - once they're up! Beautiful decorations! You did a great job helping your Mommy get ready for Christmas, Truffles. I really like the personalized ornaments. We don't usually do much decorating other than the tree. There just isn't enough space in our apartment for it. Wow... those are really beautiful decorations!